To those who have passed on farewell, farewell. To all people gathered here today for this commemoration greetings, greetings, greetings to you all. In February 2011, I was able to visit Belgium and the Tyne Cot Cemetery in Flanders for the first time in my life. The day I visited was a typically Belgian February day; very cold and very damp with rain constantly falling. I couldn’t help but be moved by the vastness of that final resting place for thousands of British and Allied soldiers and the reverence with which New Zealand soldiers especially are remembered in Flanders. 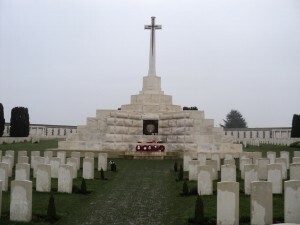 During my research I had read of the Tyne Cot Memorial to the Missing, a 150 metre long wall which bears the names of the 1179 New Zealand soldiers who were slain near there and whose bodies have never been found; standing next to its sheer mass, I was moved to read the names of those who made the supreme sacrifice and who remain forever a part of Belgium. Those soldiers, along with almost 5000 other New Zealanders, died as part of the disastrous Allied offensive launched in Flanders in 1917, which was hoped would bring about a great strategic victory; this would be the military action that British commanders had designed to bring the war to a close. As most of us know and have read, the outcome was vastly different to the intent. During this October week 95 years ago, many of New Zealand’s finest young men like PTE Lionel Kemp of the Auckland Infantry Regiment, who at only 23, stood in their sodden trenches with a steady drizzle and strong westerly wind chilling them to the bone awaited the command to “go over the top.” Some of those young men like PTE Kemp would perish within 45 seconds of the advance starting, while others would succeed in making it unscathed across the 2000 yards of open ground to their objectives, Gravenstafel Spur and Abraham Heights. The 4 ANZAC Divisions lined up side by side and moments from going into action, were about to make history. Morale was high, for this would be the only time ever that New Zealanders and their Australian cousins standing shoulder to shoulder, would be the main thrust of such a major attack. Of those 4 Divisions, just over 2000 New Zealanders were soldiers of the three battalions of the Auckland Regiment who also were about to make history. The Battle of Broodseinde would be the only occasion on which all three Auckland Battalions would conduct a deliberate attack together. 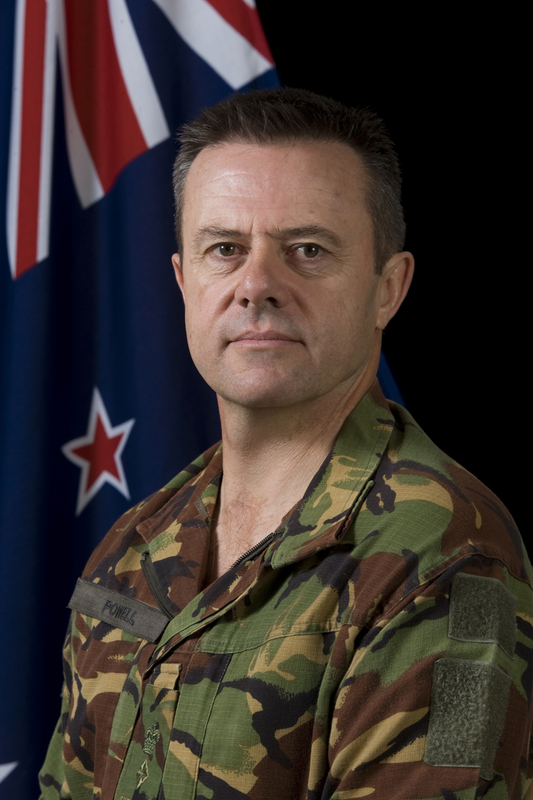 During the battle there were countless acts of bravery and sacrifice by soldiers from every British and Allied unit, but this day, this Museum and this service hold tremendous significance and worth for Auckland, Aucklanders and the past and present soldiers of Auckland’s Army unit, now named “3rd Auckland (CRO) and Northland Battalion,” so it is Aucklanders and their Battalions that I will talk about today. Action on 4 October started at 0530 hours for the 1St Auck Bn when German artillery started shelling their trenches. The battalion sustained almost 80 casualties before they had commenced their own attack in what many soldiers thought was an indication that the Germans had uncovered the Allied offensive plans. As it was, the German commander General von Armin had also planned a strike for the morning of 4 October and the artillery falling on the Aucks was his opening barrage. As a result the German infantry was caught in the open by the British barrage which commenced at 0600 hours and were decimated. At exactly 0600 hours, the British guns opened up and began a creeping barrage across the boggy terrain which sheltered our infantry from German machine guns and snipers as planned. The Aucks reached their objective on time and pushed out parties to clear enemy trenches and pillboxes and succeeded in capturing 200 prisoners along with several machine guns. The 1st Auckland Battalion meanwhile were taking heavy casualties at Hannebeke, Aviatik Farm and Dear House, but they managed to clear these objectives and maintain momentum in their attack and succeeded in capturing Winzig. While the 1st and 3rd Auckland Battalions were consolidating their positions, the 2nd Auckland Battalion was getting on with its task of pushing through the new front line and continuing the advance to Korek. There they encountered further resolute German resistance however two or three soldiers managed to outflank a pill-box system and the resistance collapsed. By 0930 hours the final objective had been reached, but at considerable cost to the 2nd Auckland Battalion with all their officers being killed and a Company Sergeant Major taking command. The Allied forces managed to consolidate their wins and develop the now captured German trenches into a continuous line of defence. They had seized vital ground and driven the enemy from some of the most important positions on the Western Front. The ground which the Auckland Battalions had played a significant part in capturing afforded excellent observation of the Passchendaele Ridge and was a good start point for any further attack on Passchendaele itself. There were minor counter attacks however these were easily repulsed by artillery fire. and amongst the dead from the ranks of the 2nd Auckland Battalion was CPL David Gallaher, the celebrated Captain of the original All Blacks of 1905 – who died of shocking wounds and is buried at Nine-Elms British Cemetery in Belgium. 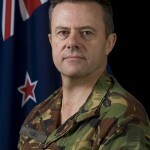 This action had however been a tactical success and the Kiwis who had taken part in the fighting were quite aware of how well they had performed. Tragically, the NZ Div’s record was about to end and in the space of a week, NZ’s military fortunes would change forever with the bloodiest of military disasters about to unfold in the mud and slaughter of Flanders during the Battle of Passchendaele. The Auckland Regiment was fortunate that it was only tasked to fight in this first Battle of Broodseinde and was spared the horrors of the final engagement for Passchendaele itself on 12 October, however the 3 battalions played a significant part in capturing Gravenstafel Spur and Abraham Heights which set the scene for the second attack. In 1964 the Auckland and Northland Battalion was formed from the amalgamation of the Auckland and Northland Regiments and we were presented with our current set of Colours in 1973. It is through these symbols which are the embodiment of the Regiment and which are the representation of the spirits of the men who have paid for our freedom with their lives that the present day Auckland and Northland Battalion which I command remembers. One path of our whakapapa leads directly to this blackest of military days and in conjunction with military historians, the people of Belgium and The Passchendaele Society, we will remember them.